Hybrids, mild, performance or plug-in ones all became everyday things these days, and fully electric cars are also heading there. On the contrary, hydrogen cars are still a long way of becoming common things on the streets. At this moment feel free to chose between one Honda, Toyota and Hyundai, and that would be it. 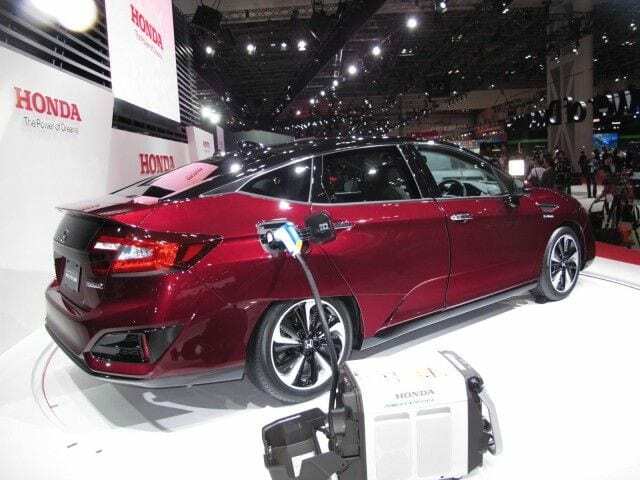 Still, they all remain dedicated to their cause, as nothing is easy at the beginning, and to pay respect for their efforts, let’s see what 2017 Honda Clarity Fuel Cell has to offer. If you want to participate in rather undeveloped part of the automotive world, you can’t just go out and by Clarity. If you pay attention when on the road, you probably haven’t seen a lot of hydrogen charging stations. So, first of all, you have to live in California, and further to that, in 300 miles proximity of some hydrogen fuel pump, and there is not much of them, to be honest. If all that is checked be ready to cash out around $60,000, and you know that you can get quite an array of gorgeous traditional four-wheelers for that kind of price. 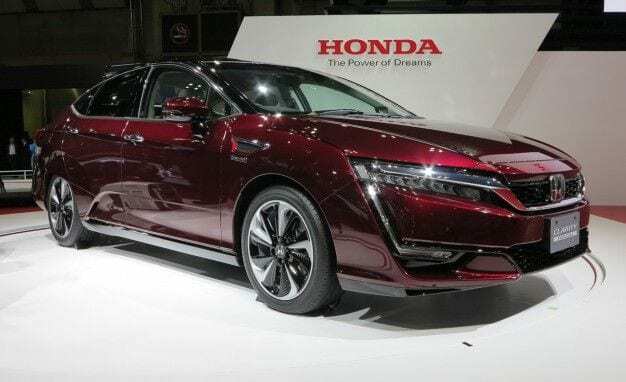 2017 Honda Clarity Fuel Cell uses electric motor based on one used in EV Plus model, but in this case, electricity is produced in a different manner. It doesn’t come from the electrical socket but rather from hydrogen fuel cell stack which is located under the hood. It collects its fuel from two hydrogen tanks located under rear seats and trunk, which do affect the amount of stuff that you can cram into there but don’t worry, 14.4 cu ft is more than decent in this case. Clarity produces 174 hp and can reach 60 mph in less than 9 seconds, but that is of least importance here. More important is driving range of 366 miles, which is the highest number in EV world. And yes, Clarity is an EV car, because hydrogen is there to produce electricity. The only product of all the commotion under the hood is water, so absolutely zero emissions. You could consider Clarity as a mid-size sedan with hefty price tag, which could be viewed as the cost of being part of the future. It can seat inside adult people in the same manner as rivals from mentioned class and design, and quality of dash is in similar proximity. You will have your large infotainment touch screen, buttons and knobs below it for climate control and other stuff, digital gauges, which is nothing unusual in these times and maybe unconventionally shaped gearbox, which uses buttons instead of a lever, but latest GMC Terrain has the same thing without being radicalized under the hood.So, we could conclude with the impression that on the inside, you’ll feel quite familiar as there is nothing to baffle you. That would be exterior. When Clarity was revealed in 2008, it had unique styling but only to some degree, let’s say similar to Prius. But when our Fuel Cell arrived last year, it took things in some different direction. To put it mildly, the car looks quite odd, from all sides. Yet, Toyota’s Mirai is even more insane visually. Also, covering the upper part of rear wheels with body panel is something that was lost in history, and we all thought that it was better that way. Anyway, since you are aware all boxes that need to be checked to own this type of thing, strange looks is hardly going to deter anybody from possible ownership. The rise of hydrogen vehicles is extremely slow compared to electric ones, primarily because of fueling station infrastructure issues. 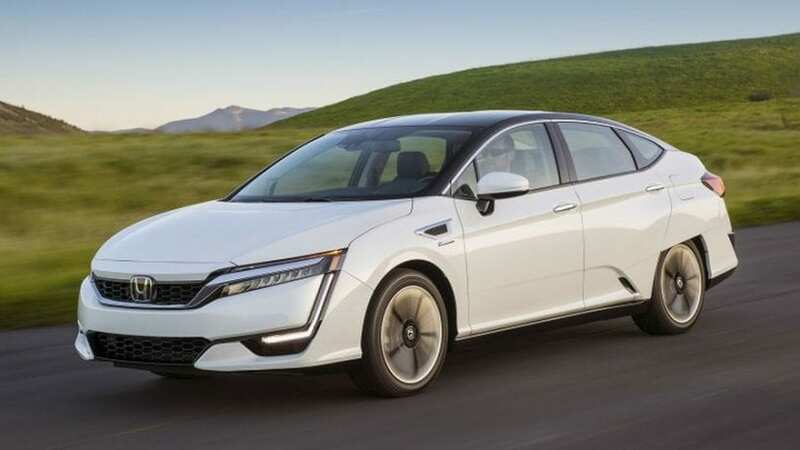 Honda knows that, and it’s not just about 2017 Honda Clarity Fuel Cell anymore. We have a plug-in hybrid on the way, with promised 42 miles of pure electric range, which is an outstanding figure, while Clarity Electric has already arrived with a range of 80 miles, which is sadly outstandingly low figure for today’s criteriums. So, hydrogen will stay the main thing here, but there is nothing bad in Honda’s attempt to actually earn something from Clarity.